When two products keen on delivering the best customer experience become partners, incredible things happen. Now that Changelly has partnered with Exodus, wallet customers can make one-click exchanges with transparent rates easily from inside their wallets. Watch our video tutorial below on how to exchange crypto within Exodus wallet. 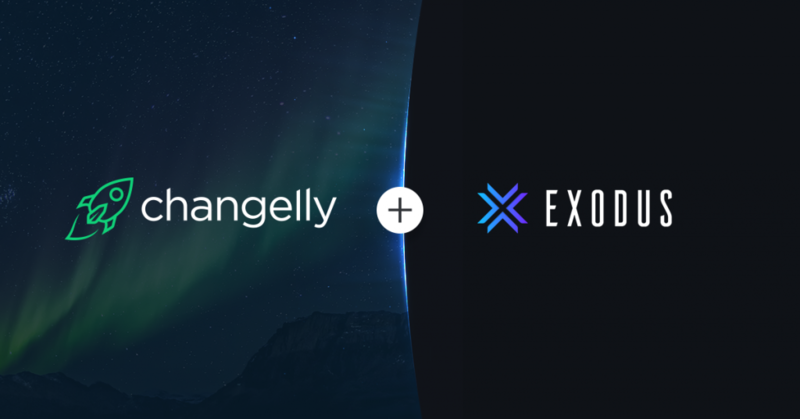 For Changelly, the partnership with Exodus became a precedent for the fixed-rate exchange implementation. With that feature, Exodus wallet offers in-service exchanges at fixed rates which, in fact, guarantees your rate at the time of the exchange even in a volatile market. For now, this function is available exclusively for some of Changelly’s API partners. However, in due time Fix Rate will also be available throughout our platform, thus providing fascinating opportunities for solid exchanges to millions of our users. Exodus is the all-in-one wallet to secure, manage, and exchange blockchain assets. It allows users to track the value of their blockchain asset portfolio, in real time, as market conditions change. Being customer-oriented and secure, the wallet has a customizable interface and encrypts users’ private keys and transaction data locally for its owners only. Exodus has assembled a 24/7 customer support team that is always available on email, Slack, and social media to troubleshoot absolutely anything having to do with Exodus or cryptocurrency in general. The Exodus team knows that cryptocurrency can be a confusing place for early adopters and welcomes anyone, regardless of their experience level, to write to [email protected] to voice all questions and concerns. Thanks to Changelly’s white-label API not only proven crypto products can increase their functionality, but also the users around the globe can seamlessly exchange their assets within seconds using their favorite crypto wallets and services. The platform also provides its Affiliate program with a 50% revenue share mechanism.